Art of Recycle is one of the creative reuse shops in my area that I support. And, today, they need your, too. I first brought Art of Recycle to your attention back during their Etsy Craft Party, which was a load of fun, I might add. Now that colder weather has hit, their heating bill is pretty high and they could use monetary donations via PayPal help keep warm during the winter. Please visit their website and donate a few dollars. Art of Recycle is a non-profit and they do such a wonderful service to those here in our community. Our area needed a place like this. To donate please visit their website. I know, I know, I’ve been all about creative reuse lately, but I’m really excited about it! As one reader pointed out, I forgot to post what I got at both stores! So, in one big combined photo, here’s what I bought. Two older pattern folders, one for sweaters and one for dishcloths, hence all the cotton yarn. A pair of US 10.5 Susan Bates needles, a good brand and one of my favorite needle sizes. Note cards from a recently deceased local artist. Artwork was by her, not sent from. Copper leaf for a decoupage project I’m starting. A teeny tiny sock kit. I wanted it mostly for the pattern. A 2008 Knitting Pattern A Day calendar that is going to be scanned, databased, and given to the next person for their use. 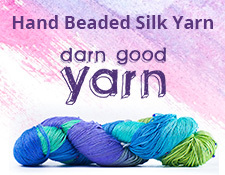 I have found some awesome yarn in similar places, and Art of Recycle and Lancaster Creative Reuse were no exception. 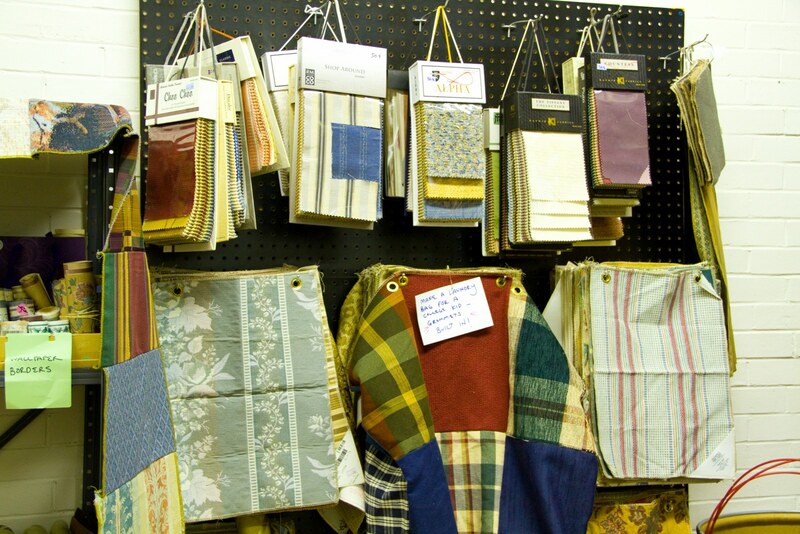 What are you able to find in your local thrift and creative reuse stores? I’d love to know what you have found. A few weeks ago, my friend Jessica shot out of her office as she saw me pass by. “Jenn, I have to tell you something, ” she said, and proceeded to tell me about Lancaster Creative Reuse. The more she told me, the more I was interested. I got back to my office and checked out Lancaster Creative Reuse’s website and I was even more interested. A place where people donate their unwanted crafting goods? A place where I can purchase craft supplies at a nominal cost? I was more than interested now; I was intrigued, and I had to learn more. So, I contacted Andrea Stoner-Leaman at Lancaster Creative Reuse and ask her if I could do a blog article on them. She enthusiastically gave me the affirmative, and I prepared for the interview. Fast forward to last Saturday, where I found myself looking up at the former Stahr Amory, now the Stahr Center, in Lancaster, PA, the location of Lancaster Creative Reuse. The Stahr Amory used to be used by the Army, but now it hosts a variety of different creative endeavors. It’s an historic building and I’m glad it’s being used. I went down into the basement, where I found a cheerful, two room shop filled to the brim with lots of cool things with many crafty applications. I met Daria, the volunteer I was interviewing, and we sat down at one of the crafting tables in the back room. Lancaster Creative Reuse just celebrated its second birthday this month. Recently, they just expanded into a second adjoining room because they were growing. 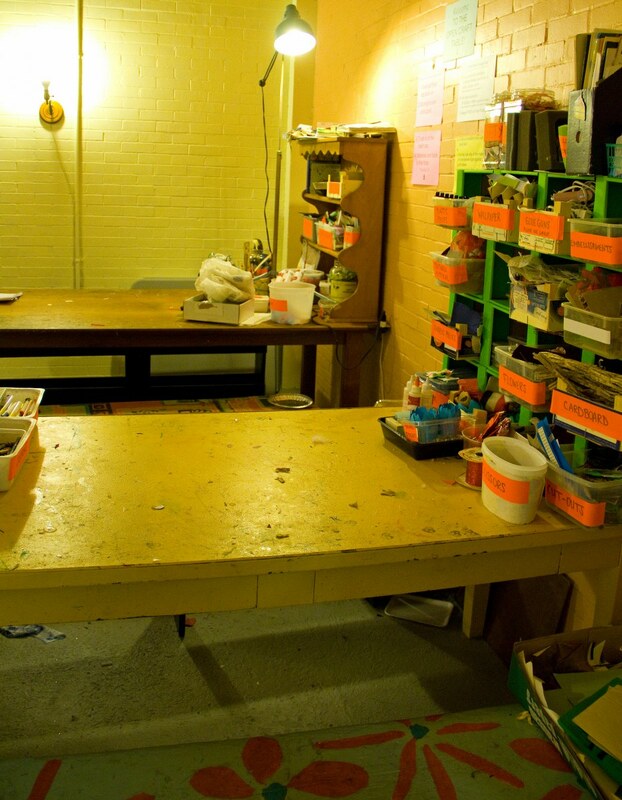 The center is a non-profit, as many creative reuse centers are. Eight regular volunteers staff the center, besides groups coming in intermittently to volunteer. The center has an interesting story. The founders, Stoner-Leaman and Jeanni Zeller didn’t know each other, but each had an idea to start a creative reuse center. Luckily, they have a mutual friend who put both women in touch with each other. 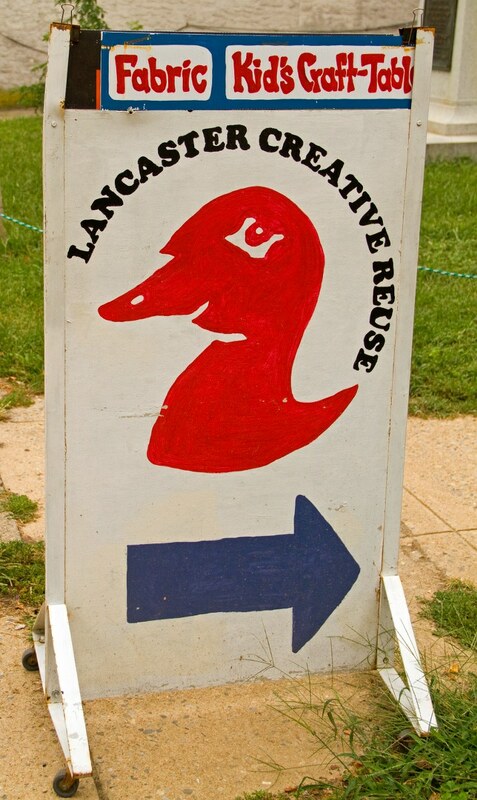 After a few brainstorming meeting and after space was found at the Stahr Amory, Lancaster Creative Reuse was born, along with the Ugly Duckling logo that shows that something unwanted can turn into something beautiful. Perhaps I should have explained this first. What exactly is creative reuse? Creative reuse is a concept that extras and unwanted materials are used. “It’s a way to keep things out of the dumpster,” explained Daria. 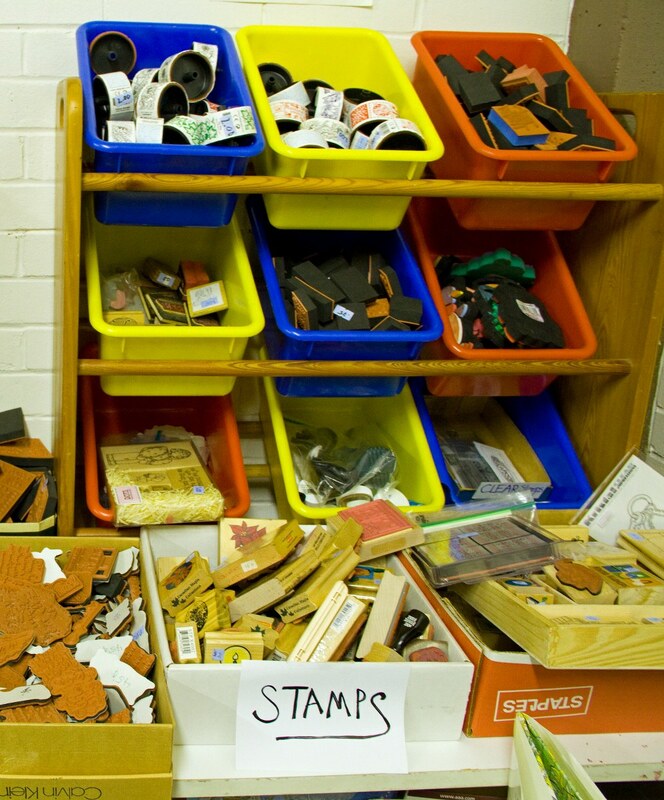 Creative reuse centers depend on the donations of items items. Half come from individuals cleaning up crafting stashes or attics, and half come from businesses who are getting rid of old fabric and paper samples. 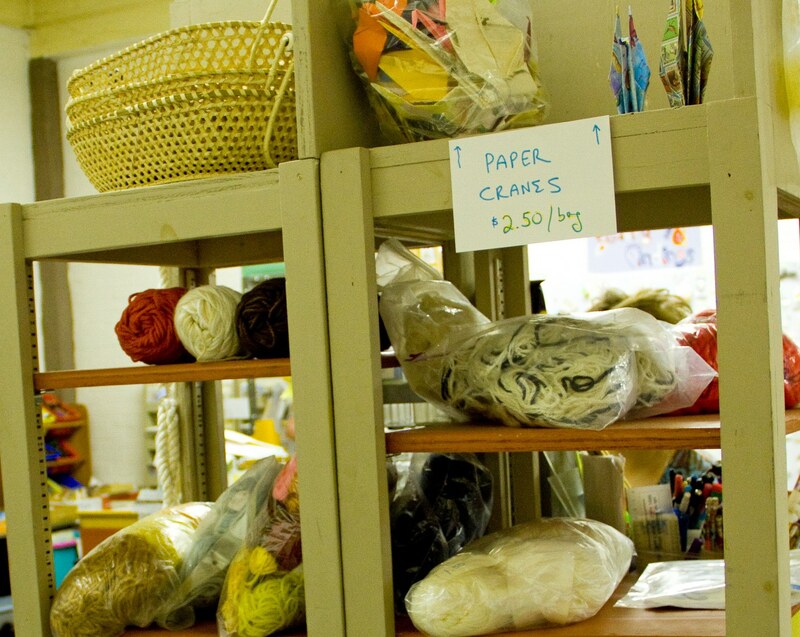 Types of donations that Lancaster Creative Reuse takes include marbles to yarn, to sewing patterns to card stock. 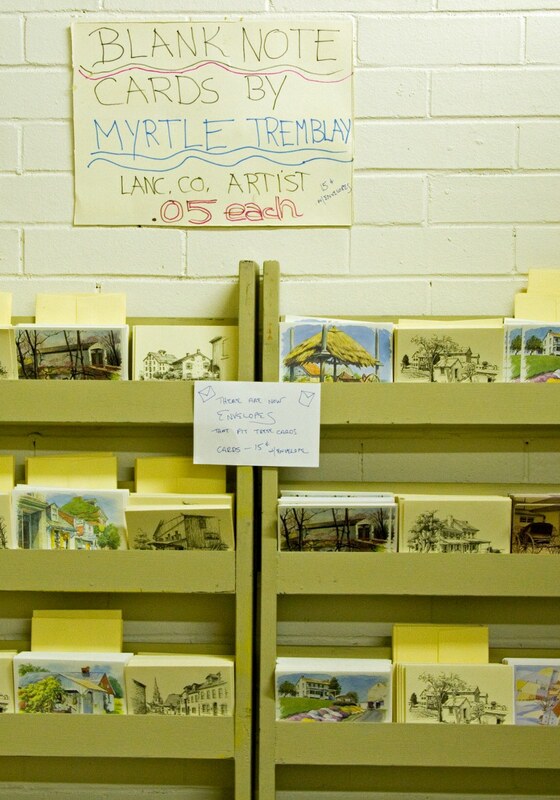 Recently, Lancaster Creative Reuse acquired thousands of note cards from Lancaster County artist, Myrtle Tremblay, who recently passed away. Basically, it’s the crafting supplies that no one uses. Lancaster Creative Reuse has a steady stream of customers coming to shop, too. About 800 people came through their doors last month, and about 30-40 children came in to use the crafting tables. Ah, the crafting tables. Let’s talk about these wonderful things. For two dollars, anyone can come into Lancaster Creative Reuse and use one of their two crafting tables for as long as they’d like. There are many supplies there for people to use. It’s a great rainy day activity to do with the kids. Also, if the children want to do craft, and you don’t want the expensive supplies and mess, Lancaster Creative Reuse is your place to go. Lancaster Creative Reuse hosts events, as well. Besides being open for Lancaster’s First Friday, you can also hold birthday parties and other events at the center. The center excels at community outreach. Lancaster Creative Reuse is doing a great service to Lancaster County by offering a place to reuse unwanted crafting good. The center offers its services to teachers and students by going into schools. They also have a similar program for retirement homes. As for getting the word out, Lancaster Creative Reuse has free crafting tables at local festivals. “Crafting is expensive,” Daria stated, and nodded my head heartily in agreement. You can get a lot at Lancaster Creative Reuse for just a couple of bucks, and find some pretty unique things there, too. Big craft stores have their place, but I urge you to check out your local creative reuse center or to learn more. You may want to go shopping and find something special. You also may want to thin out your stash and donate some items. Either way, your local creative reuse center will be happy to see you. For more information on creative reuse, here are some links for you to check out.